Restaurant inventory management & purchasing software aids restaurants in the daily process of maintaining accurate food inventory information and replenishing that inventory. Restaurants that want to cut down on food waste and save money on food costs can use restaurant inventory management & purchasing software to maintain accurate inventory information, keep records of suppliers and recipes, and digitize purchasing records such as invoices and receipts for easier bookkeeping. Restaurant back offices and kitchens can rely on restaurant inventory management & purchasing software to organize inventory control and purchasing workflows. Basic inventory management features are often found in restaurant management software, but a dedicated tool will be much more similar to an inventory control software tool. Restaurant inventory management & purchasing software may also integrate with restaurant POS software or restaurant delivery/takeout software to accurately track inventory in real time as sales are made. Users may also want to use their restaurant inventory management & purchasing software in conjunction with small-business accounting software or other accounting software. Restaurant Inventory Management & Purchasing reviews by real, verified users. Find unbiased ratings on user satisfaction, features, and price based on the most reviews available anywhere. MarketMan is a cloud-based inventory and supply management system designed specifically for restaurants and supply chains. The software comes with a full suite of features and tools designed to streamline and simplify essential inventory and supply management operations including budgeting, purchasing, order optimization, food costing, order handling, branding and catalog, supplier management, and more. MarketMan offers unparalleled versatility by enabling you to stay in control over your restaurants inventory and other processes using your mobile phone, tablet, or PC. You can place orders for supplies using your smartphone app without worrying about miscalculations and unseen errors. MarketMan helps you boost your restaurant profitability as you can monitor changes in prices, track errors and shorts as well as food costs among others. Y] In a nutshell, MarketMan keeps your restaurant supply operations under control. You can easily delegate the right tasks to the right employees and supervise their work at any moment of time. The system sends alerts per email and phone in real time, and sends notifications based on POS sales depleting inventory levels. 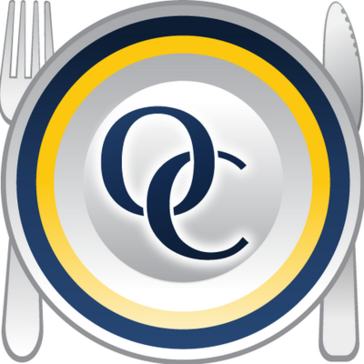 eRestaurant is a restaurant management suite. BevSpot is an all-in-one food and beverage program management software. Optimum Control Food & Beverage Inventory Software - Helping put profits back into Restaurant Owners pockets Since 1997.
xtraCHEF is a cloud-based restaurant management platform that enables foodservice operators to maximize profits and productivity. By automating time-consuming BOH tasks related to ordering, accounts payable, budgets, and cost management, xtraCHEF helps restaurant groups to build back-of-house operations that can scale. We've combined the power of mobile, machine learning, data science, and quality control to provide restaurant operators with the power of data to optimize their supply chain. 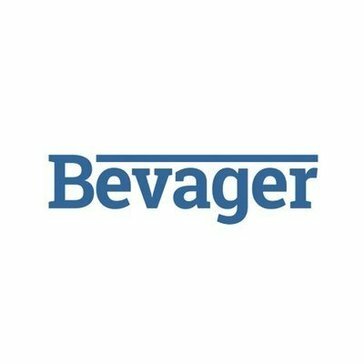 Bevager is a cloud based inventory & ordering platform for Bars & Restaurants. Bevager evager connects with your Point of Sales and Accounting Systems. Kitchen CUT is cloud-based software for hospitality businesses that delivers real-time savings to improve cost control in the kitchen and bottom line performance. Transforming every element of an F&B business, Kitchen CUT provides control wherever you are, with access from any device. The full Purchase-to-Pay system includes features such as Supplier Management, Allergen Tracking, Nutritional Analysis, Recipe Costing & Menu Planning, Stock Control, Wastage Tracking and Buffet Analysis among many others. Kitchen CUT combines an understanding of operational pressures with insightful and detailed financial performance reporting, whatever the size of your business – from a single unit, to a multi-site operation that spans different regions or even countries. Orderly helps independent restaurants and chains implement better processes for managing invoices, inventory, and food spend with the lest amount of time, effort and expense. AccuBar is a bar and liquor management software. Liquor inventory and ordering smartphone app for bars and restaurants. Bar inventory software with all of the features you need to track every serving of alcohol and food, simplify and automate your ordering process, and help put an end to employee theft. Bar POS Software features include management dashboard, customer management, employee management, integrated music, and Quickbooks Integration. 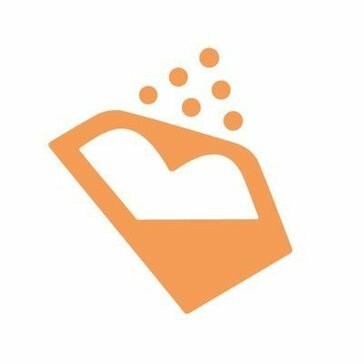 BinWise is a data-driven, cloud-based platform that allows you to manage all of your wine, beer, and liquor programs. BlueCart is an online and mobile procurement solution for buyers and suppliers in the food industry. Chefs use BlueCart to place all their orders and manage their inventory. Suppliers use BlueCart to automatically organize those orders and manage their clients all in one place. Bottom Line Restaurant Solutions offers online kitchen management system with order entry, inventory, and menu costing. ChanjFLOW is a inventory tracking app for the bar and nightclub industry. ChefSheet is a restaurant inventory management tool. ChefTec is a Recipe & Menu Costing, Inventory Control, Purchasing, Ordering, and Nutritional Analysis software. ChouxBox is the Industry's first web-based "point of purchase" (POP) service that helps everyone organize their paperwork, understand your purchases, and save time every step of the way. Faster than ever before, invoice data is available to everyone on your team providing proactive analytics everyone can leverage to make more educated purchasing decisions and forecasts. Count-n-Control is a food inventory management solution. Dine Market is the vibrant online marketplace where 4,000 restaurants, retailers and food-service suppliers do business. From celebrity chefs to the nation's largest food suppliers, the industry trusts Dine Market - because we understand your business. FoodService Ace is an integrated software designed specifically for multi-unit restaurant, foodservice and catering operations. KitMan is a kitchen management system that helps catering professionals to cost, plan, monitor and order for a quality kitchen operation. We combined the power of Automation and a dedicated team of Professional Bookkeepers to keep your books current along with performance insights on your business operations. You shouldnt be losing time or money managing your food and beverage inventory. With Optimum Control, you can increase your profits and streamline your workflow. Orderboom is mobile ordering solution that eliminates mistakes, lets you to organise your products how you want, and allows you to order via cart method from all of your suppliers. Restaurant Inventory is an inventory management software for restaurants and hospitality businesses. Web-based restaurant purchasing software that allows owners and operators to streamline the entire purchasing process in the back-of-the-house, using all of their current suppliers. By operating more efficiently, users save a significant amount of time and money every month. The HACCP app is a food safety app designed to help restaurants and food businesses streamline their process in regards to paperwork involved in food safety. IT Chef Hospitality Software offers a software solution that runs on Mac, Windows and iOS Devices. IT Chef Culinary Software Solutions takes recipe costings, ordering, menu engineering, menu printing, nutrition analysis, nutritional labelling and other calculations and turns them into a result driven application. Zeffu is a cloud based purchase order management software that connects restaurateurs with vendors that helps independent restaurants and chains automate the supplier purchasing process through SaaS technology, it allows restaurateurs to control costs, increase employee productivity, and provides complete reporting around pricing, invoices, and order history thereby improving efficiency and saving time. Hi there! Can I help you find the best Restaurant Inventory Management & Purchasing solutions?